This is an IHRSA featured article, brought to you by Life Fitness. Is Your Health Club Targeting These 5 Digital Goals? Your club can boost engagement and retention with an integrative digital strategy. Here’s what to do. One of the risks with new technology is that sometimes the only things that seem to be getting smarter are the machines. Maximizing the use of digital products and interpreting data is getting more complicated due to the growing number of information resources and amount of numbers flowing in, but with the right tools, data literacy can become a strength. This information is too valuable to be underutilized. “Technology lies at the core of our retention efforts and I feel that, right now, we’re just scratching the surface,” says Greg Cibura, the chief technology officer for the Fitness Formula Clubs based in Chicago. Smart machines. 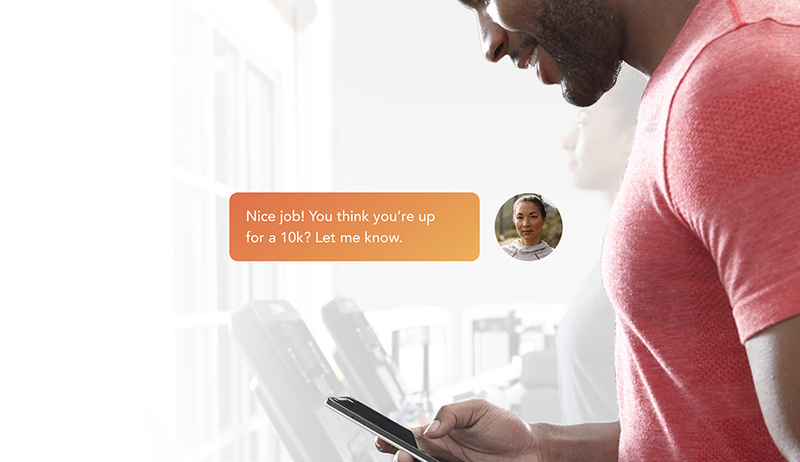 Exercise equipment that’s connected to the cloud and responsive to individual members is increasingly common. Smart technology is also appearing in clothing and shoes, all of which is connected to the cloud. Some smart equipment is also programmed with machine learning capabilities. 3D body-scanning technology to create more effective personalized programs. SMS (short message service) to reach members with motivational messages and health-related reminders (so long as you get their consent). Programs that create heat maps of high-traffic areas in your club, to guide you on delivering the equipment and programming choices popular with your members. Third-party wearables that track members inside and outside the gym. Many clubs have exclusive contracts with wearable app companies. Only you know what tech is appropriate for your club. But no matter what you offer, you need to understand how to leverage this data-rich experience to enhance member engagement, increase retention, and boost profits from core services and non-dues revenue. Seamless integration. Your members expect digital technology that’s personalized, on-demand, and easy to access. It’s imperative these days to provide your digital services with a single sign-on. Comprehensive integration also makes it easier to organize data into usable reports. Efficient aggregation. Actionable information that you can use monthly, weekly, even daily can tell you a lot about what’s working and what’s not in your club. Everything should flow into a single stream in the data chain by the time it reaches your digital team. Smart automation. You need to know when to apply the personal touch and when to automate services so technology does more of the heavy lifting when you need it. Your members are more accustomed these days to using their mobile devices to do everything from scheduling classes to checking in to the club. Learn their preferences and adjust. Effective consumer tracking. This is the brave new world of health club tech that’s more commonplace in other industries. 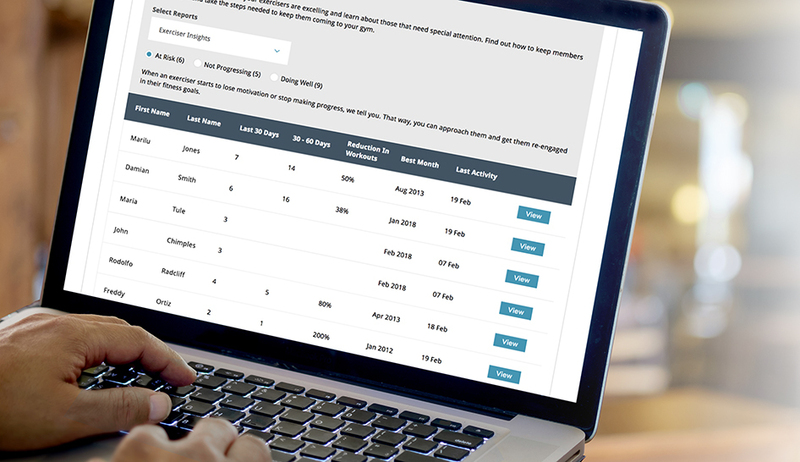 Digital tracking can create a more complete profile of your member, so you can better serve them and help them reach their goals. A lot of times we think of tracking consumers as something intrusive, such as when companies like Facebook or Amazon use your search results to display ads that follow you as you surf the web. Or worse, companies that track you even when you opt out of location services (it happens more than you think). While it’s important for the fitness industry to protect biometrics, consumers expect targeted pitches and even invite them. Club operators need to be ready to deliver this next level of digital engagement. And if you don’t provide it, somebody else will. Recently, Life Fitness launched the Halo Fitness Cloud, an all-encompassing digital technology service for clubs that’s equipped with numerous tools for data analytics, facilities management, and communications. Halo’s ability to reach into the cloud to integrate an entire club’s digital ecosystem brings a new level of consumer engagement possible. Once Halo understands your efforts inside and outside the club, it will offer suggestions on fitness products to help you become more successful. For instance, a personal trainer in the club can use that data to have a conversation that helps the member have a more enriching fitness journey, says Worthy. Or the technology may recommend a nutrition app to create a meal plan. “If you know how much activity you're getting outside of the gym, we can start to piece together a more complete view of your progress towards your goal,” he explains. Technology is allowing for highly personalized experiences on every level. How you leverage your digital tech to serve each member’s unique experience can make or break you. “Offering a world-class consumer experience will create sticky members,” says Worthy. Life Fitness offers four plan options plus two stand-alone modules that can be mixed and matched based on the needs of the customer. Halo’s robust infrastructure is always evolving to keep up with digital trends to help club owners increase operational efficiencies and maximize revenue opportunities as trends develop. To find out more about Halo Fitness Cloud, visit Life Fitness' website or send them an email. Three leading fitness industry suppliers are pairing new technologies and systems to create a smooth exercise experience. Tips to maximize opportunities through digital technology and bring your health club business to the next level. Learn how customer data, combined with machine learning and AI, can give your gym the competitive advantage. Presented by Perfect Gym.